Always Have Gloves In Reach! 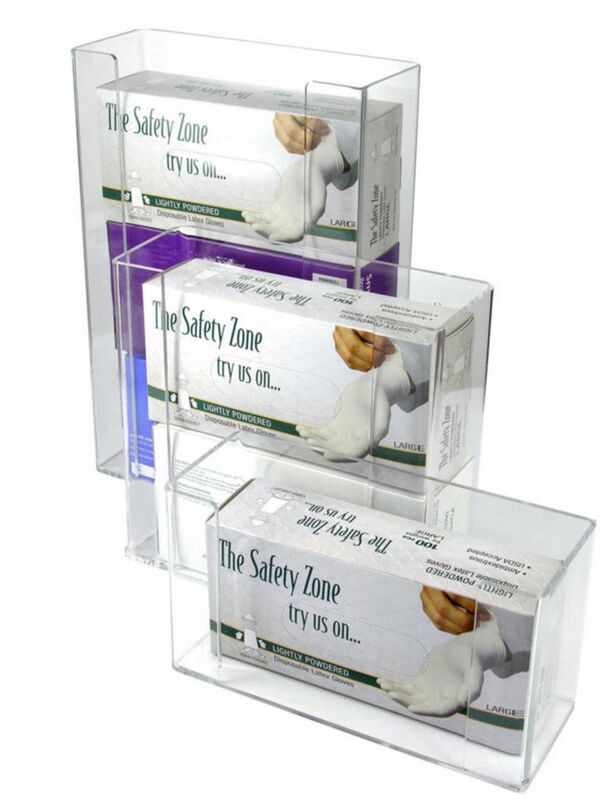 Each of these glove box dispensers is made of heavy duty 3/16" thick acrylic for long life. Use the included mounting hardware to attach to a wall to save counter space and you will always know where to find your box of gloves. The dispensers fit all brands of glove boxes, and the clear construction makes it easy to identify sizes printed on the box.